Excitement has been intense since the news of my book’s nomination for The Guardian First Book Award 2013. But I digress. Back to that literary prize, pricking like a far off beacon in the fog. Mine is only a nomination, for the 10th spot, on the shortlist. The first nine have already been allocated – by the big publishers way out of Crooked Cat league. The 10th spot is special. Through their website on 1st July, The Guardian called for nominations to be submitted by 14th July. They were especially looking for books from small Independent publishing houses who can’t afford the immense cost of vying for literary prizes. On the 15th July my publishers announced that Breath of Africa, and A guide to Becoming Distinctly Average had been nominated, and they were submitting copies to be assessed for a short list. My heart leapt, but my mind was far behind. 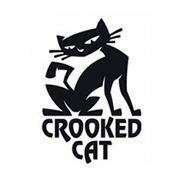 I sent profuse thanks to Crooked Cat. Oh no – they said – only the big publishers are asked to put forward their books. It wasn’t them who made the nomination. Must have been one of my reviewers. I still have no idea who it was. These people in high places work fast. By 1st August, the short list will be decided. Will I make it? Will my heart survive the suspense? I’m glad there’s only a week to go. But it’s really only the long list … That final short list won’t be announced until November. This entry was posted in Breath of Africa and tagged Africa, Books, Guardian, Guardian First Book Award, Literary award, Nomination, Publishing. Bookmark the permalink.